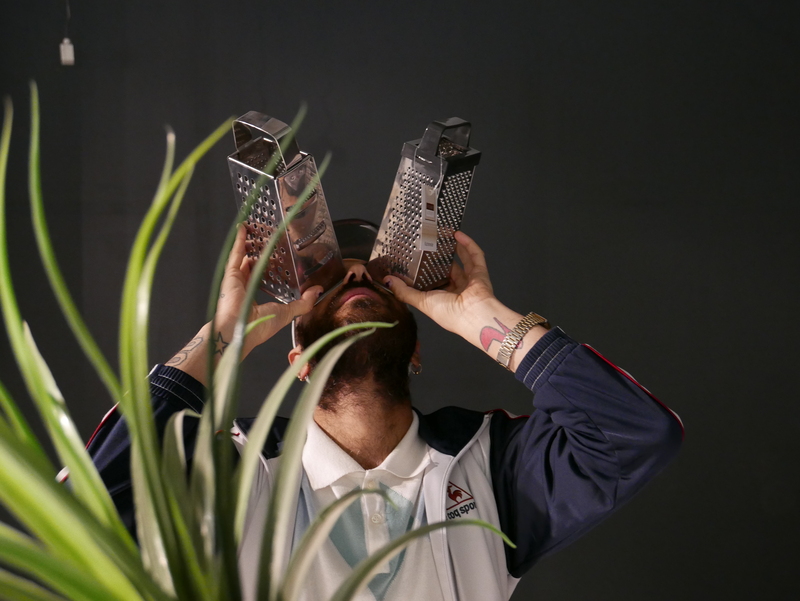 For their performance Electrodomestics, Constanza Macras and Adham Hafez founded a collective for ‘domestic affairs’. In a lively and inspiring mixture of a cooking show, a concert, a performance, an expert discussion and dance, the group investigates the concepts of cultural background and identity. Based on the performers’ circles of family and friends, the group uses their social surroundings to explore phenomena like collectivity and nationality. The audience cooks, eats and joins in the discussion and in this way are pushed to their own boundaries and stigmata, but also unexpected openness. The boundaries between the performers and the audience are blurred and together they open up a space for exchange, togetherness and spontaneous, creative eruptions. Constanza Macras, born in 1970, is world renowned dancer, choreographer and performer. Together with her company, DorkyPark, she has already taken part in a large number of festivals. For her piece Megalopolis, created in 2009, the company was awarded the FAUST theatre prize in the category of choreography. Adham Hafez is a choreographer and performer from Egypt. His futuristic performance 2065 BC (2015) was one of the highlights of the Berlin theatre festival Return to Sender at the HAU.